1 yard of grosgrain ribbon 3/8 of 1"
*The original shorts have pleating in the front, side pockets, and a bleached frayed zipper front. This tutorial will not feature any of these to make it simpler. 1) Try on your pants and use a pin or tailor's chalk to mark where to cut for your shorts. 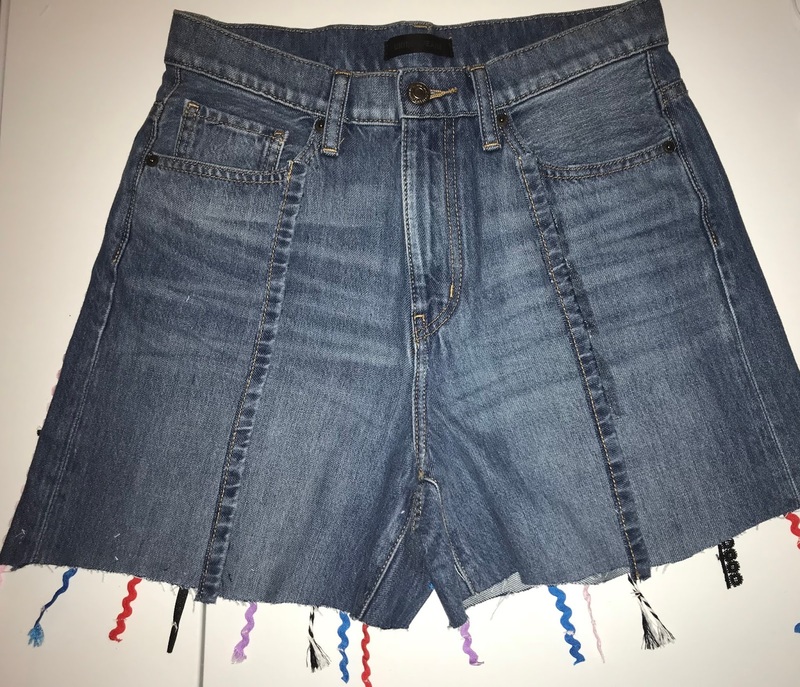 When you cut your shorts, save the scraps. 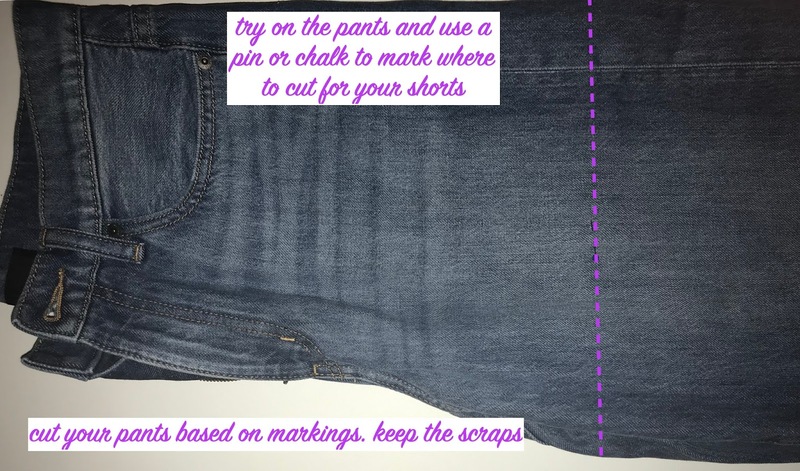 2) Flip your shorts over and use the seam ripper to take off both pockets. Save the pockets. 3) Use the detail scissors to cut off the hem of each pant leg. The detail scissors are great for cutting near the seam so there won't be any rough edges or a lot of fraying. 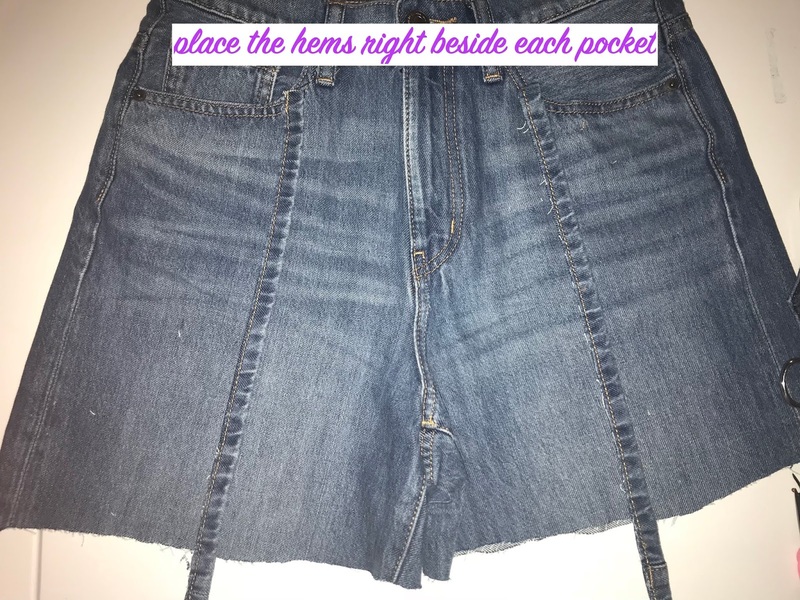 4) Align the hems near the pockets of your shorts. 5) Use the fabric glue to glue down the hems to the shorts. Cut off any excess. Let the shorts dry for at least 15 mins before flipping them over. 6) On the back of the shorts, glue the pocket 1 inch down from it's original seam. Be sure to glue just the outer edges of the pocket if you want it to be functional. 8) Glue down the vertical ribbons first. Make sure the ribbons are long enough to leave a 1.5-2 inch excess. 9) When gluing near a pocket, be sure to cut the ribbon before going over the pocket. This is if you want the pocket to be functional. But, it also makes it easier to glue down. 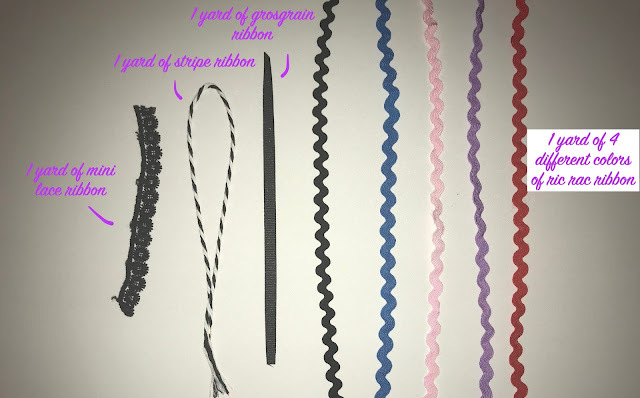 10) Let the vertical ribbons dry for 15 minutes before placing and gluing the horizontal ribbons. 11) To keep the horizontal ribbons from fraying, I glued an extra vertical ribbon to the edges of my shorts. 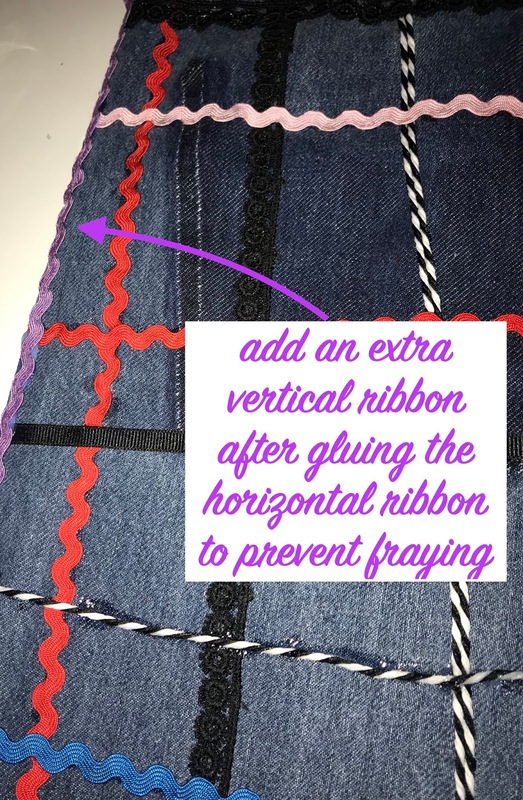 12) Use a needle and thread to secure the vertical ribbons from fully fraying. 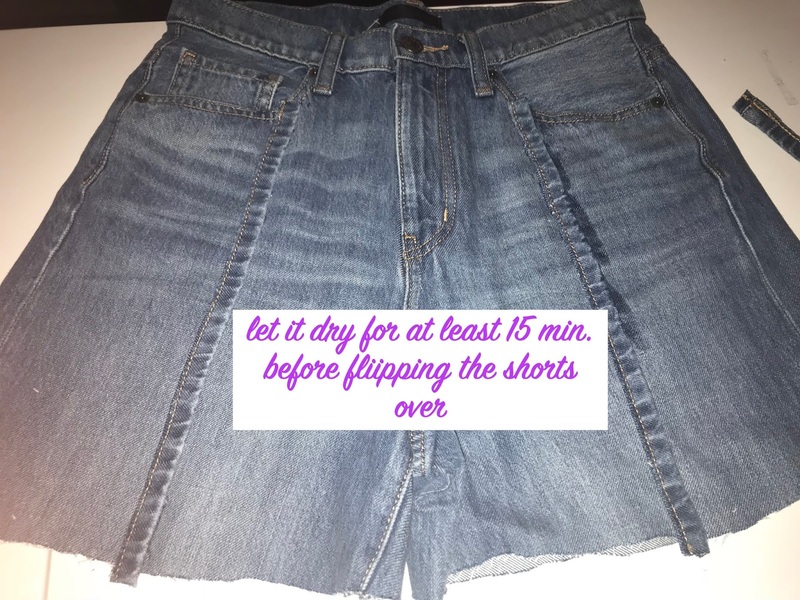 13) Let the shorts fully dry for 8 hours before handling. These shorts need a full 3 days to dry before placing it in a washing machine (according to the fabric glue label). 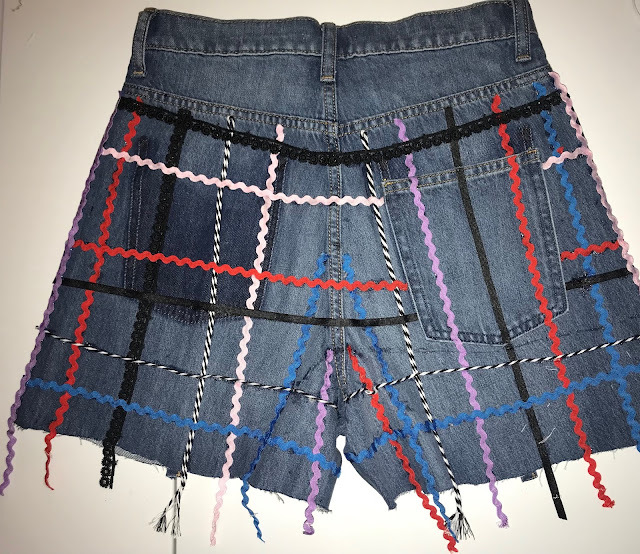 My shorts currently look like a hot glued down mess, but I will update this post after I wash these shorts to have a fresh, pretty finished project! 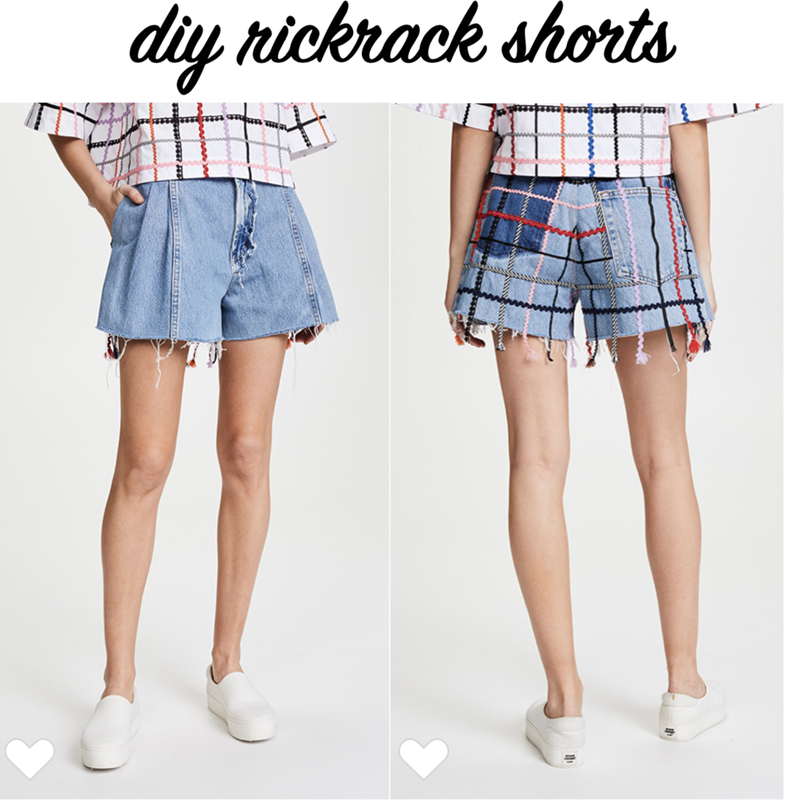 more fashion diys for the summer coming soon! © obsessiondiy | All rights reserved.